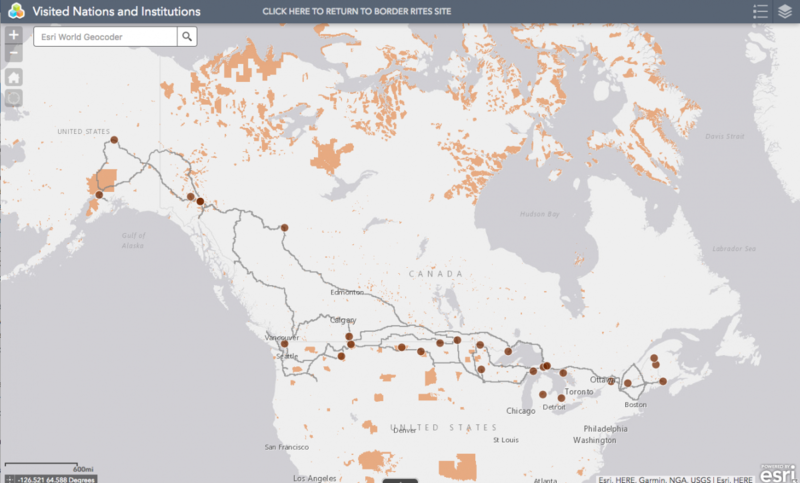 The Indigenous Borderlands and Border Rites research project is creating a list of native communities and organizations that interact across the United States and Canada border. Please click here to submit information that will be added to a public spreadsheet. The goal is to create an interactive map from this database similar to the map below. Click on the interactive map below to access links to websites of the native communities we made contact with during our fieldwork in summer and fall 2016 and summer 2017.